The Bluetooth enabled Beanie hat that plays heartwarming music from your phone or other Bluetooth-enabled devices and keeps your ears warm too .. The Musical Beanie can even answer the phone and lets you make calls using the built-in mic. 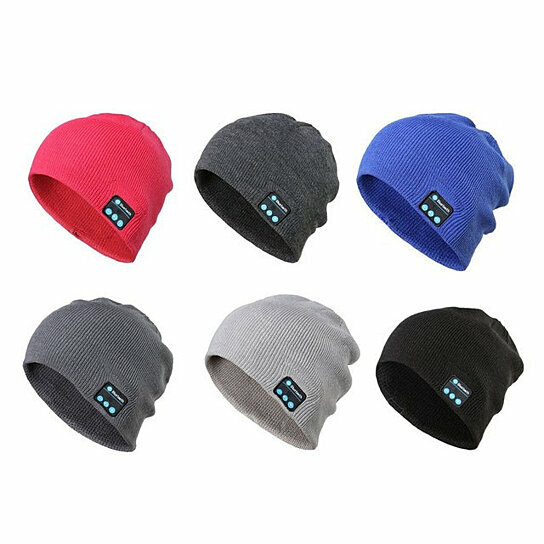 Get a crystal clear sound waves and protection from the windy weather at the same time this winter with this Bluetooth enabled Musical Beanie..
Made of Polyester blend that is warm and comfortable to wear. Snug fit over your head. Volume controls to control your music from the hat. It is Siri compatible for Apple devices and can work with any Bluetooth-enabled device. Size: 1 size fits all. It comes in colors : Black , Grey , Red , Yellow , Olive , Purple, Pink and Burgandy. Get more, great for gifting to family.Each sold separately.